When considering where to send your child to school, you have one major decision to make. You have to choose between sending them to either public school or private school. Private schools tend to have smaller class sizes, while public schools can have at least 600 people per grade level. Private schools don't rely on a zip code, while public schools decide who goes where based on geographical location. The decision can be tough based on many factors, but there are many different benefits of private schools. Since private schools are compiled of students who have chosen to attend instead of being placed based on where they live, private schools are able to work with a smaller group of individuals. During the 2011 to 2012 school year, the average private school student body size sat at 146. 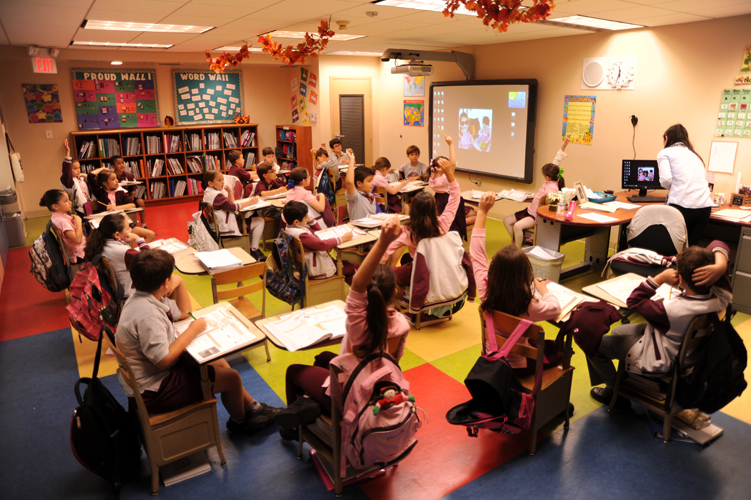 Since they are smaller and do cost more, many private schools are able to provide their students with more resources, like top-of-the-line technology for advanced learning opportunities. Private schools often have more money and funding than public schools. They often have access to updated technology before public schools can receive them. This means that they can offer their students the chance to use newly released tools and programs. With this, they are able to explore advanced coding, engineering, and design. New private education standards emphasize the importance of embracing change. Things like technology are constantly being changed and updated. It's important that private schools follow suit. These are just some of the benefits of private education. 1. What diverse programs are available? 2. When was the curriculum last updated? 3. How do you plan to help my child become more prepared for this ever-changing world? When choosing between sending your child to public or private school, it's important to keep the above factors in mind. You need to think about what you value most for your child's future. If it's important to you that your child is able to easily adapt to the constant push of new technology, sending them to school for private education might be the best choice.